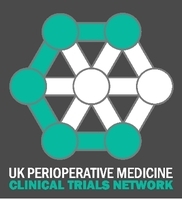 The UK Perioperative Medicine Clinical Trials Network (POMCTN) is opening the application process for its Chief Investigator mentoring scheme. The Chief Investigator scheme is intended to provide training and mentorship for a small number of talented individuals who wish to lead their own clinical trials in perioperative medicine. Applicants will be existing members of the POMCTN Local or Principal Investigator scheme, with a proven track record of recruitment to clinical trials. They will also ideally have the experience of a complete research cycle as a grant co-applicant, from outline application through to publication and dissemination of results. Previous experience of reviewing topic journal papers, grant applications or similar tasks is desirable. Successful appointments to the POMCTN Chief Investigator Scheme will be expected to attend three training days each year, at which experienced researchers will lead discussions, exchange of views and problem based tutorials covering important practical and theoretical topics in the delivery of multi-centre randomised controlled trials. All relevant topics will be covered over a period of three years. They will be attached to an established chief investigator on an existing clinical trial who will provide mentorship and exposure to the processes and governance of the study, including attendance at appropriate trial committee meetings as an observer. Candidates who have a pre-existing relationship of this type already in place can be accommodated on the scheme. Applications are welcomed from individuals of any clinical background of relevance to perioperative medicine. Those who would like to discuss the position informally before applying should contact the CTN. Completed application forms should be submitted to pomctn@niaa.org.uk.